And get the high-res image, too! Many brands are investing in influencer marketing for the first time, and in the early days it can be a tough journey proving results and justifying the program to your team. 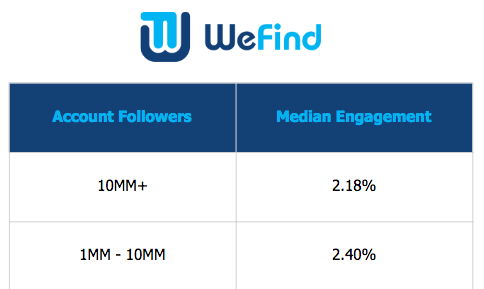 How Does Follower Count Affect Engagement? After waking up and doing my morning scroll through Instagram, Facebook, and the like, I brush my teeth with my tried and true Colgate toothpaste; I throw on an old v-neck, my favorite pair of GAP jeans, and some beat-up blue Converse; I grab my backpack and S’well water bottle and head out to get my daily dose of caffeine at Starbucks before class… and I think you get the point.